Everyday Mufon gets sighting reports and posts them in their data base. This is an overview of some of the reports from Nov.2nd-6th. On November 2nd a witness reported a reddish orange sphere in Discovery Bay, California. The observer saw the object from afar and then again near their home where they were able to take a photo and video of the object. The object moved in a southern direction as the light flickered and dimmed until it was no longer visible. The witness estimated the size to be about 10 to 20 feet in diameter. It was silent with no sounds or noise. On November 3rd in Sheldon Missouri a witness reports observing 4 different kinds of craft every night in the area for months. The objects land, hover, make formations, and occasionally emit a white light. The witness was able to take photos but the objects appear very blurry. In Salt Lake City Utah a witness shot a video of objects that have also been observed in the area for months. The observer set up a camera to get a clear view of west Salt Lake Valley. The witness was able to capture multiple objects moving horizontally and vertically, while others hovered. The original video is 25 minutes long and the uploaded version was sped up to make the video about 3 minutes long. A witness in Miamisburg Ohio noticed an extremely bright white light over Dayton Mall while driving home around 6:30 in the evening. Through binoculars the witness observed an object that seemed to change from a mushroom shape to a circular shape. It was described as a large circle in the middle with smaller circles radiating out like spokes on a wheel. 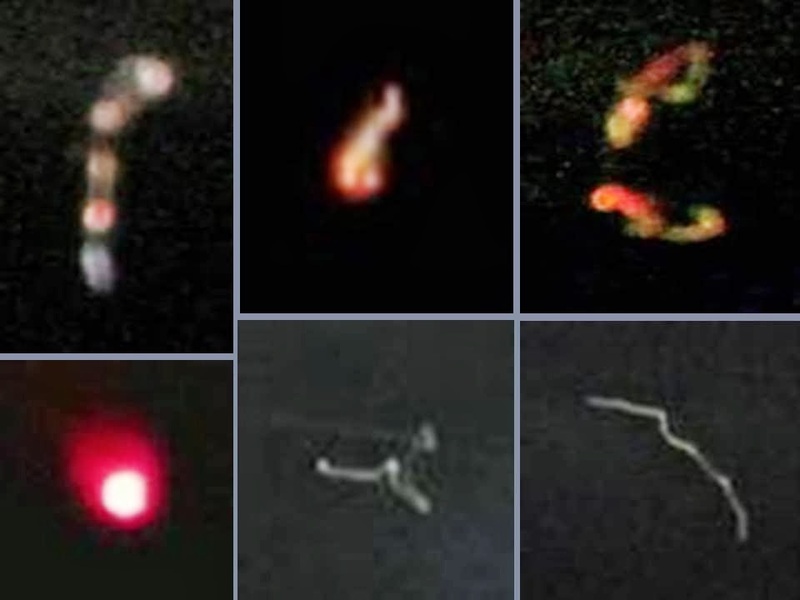 The witness took photos during the second sighting on November 5th with a Nikon Cool pix camera with a 15x optical zoom. On November 5th in Erie Pennsylvania around 11:20pm a witness photographed a UFO almost directly overhead. It was a cloudy night. The object appeared large, bright and below the clouds. Calls to 911 and the airport were unsuccessful in obtaining any other reports or information. On November 6th in Willoughby Ohio a witness walking home from school saw red ball in sky flying at a high rate of speed. She was able to take a picture with an iphone. The witness said the object was the size of a penny. Helicopters and police were also observed in the area. Even with improvements in technology, images are still blurry.